Feminine, cozy and versatile, this sweatshirt is designed with an exceptionally plush fabrication, in a classic pullover fit with a wide neck that can be worn pulled off the shoulder and long sleeves. This is a WOMENS FIT so please size up for a more flowy fit! Choose from white or black ink on our black or cardinal red tri-blend. You wont wanna take this off, its the perfect "DRY SHAMPOO FOR DAYS -MOTHERHOOD" sweatshirt around! Sizes available are: S, M, L, XL, 2XL. All sales final. 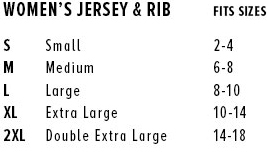 Please refer to size chart.